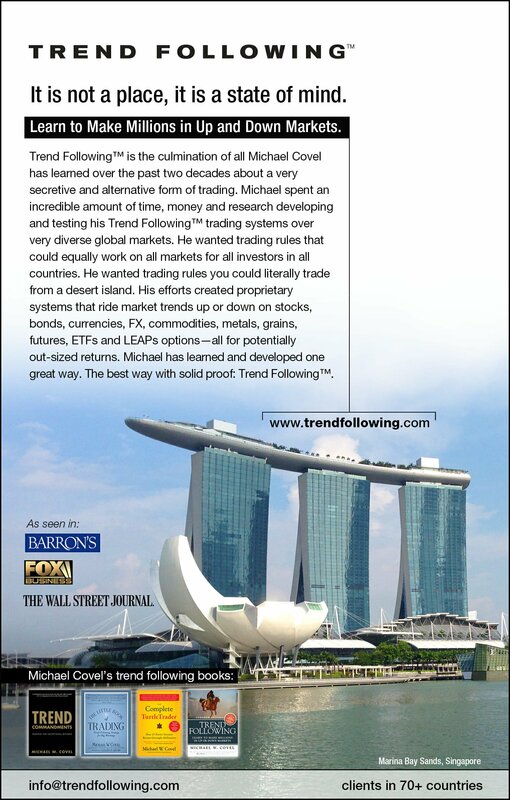 The TurtleTrader web site mentions numerous traders, most of whom trade a trend following system. However, to make money for yourself in trend following is different from trend following to make money off fees from clients. This is critical to understand. If the only thing you do is trend follow as originally intended, (to make the most money possible) then you align yourself with the turtles and what they learned. The turtles were turned loose and told to make the most money possible. They had no restrictions. However, later on, when many of them went out to manage money for clients they changed some aspects of how they traded. They still continued to make a lot of money, but they also began listening to their clients. Why? Because managing money for others often puts you at their whims, and clients are always risk averse. By requesting less risky actions of the manager, the client puts a straight jacket on the manager from properly implementing the trading system. Why do some managers handle client money if they know they will not be able to implement their system properly? Greed. Management fees from clients can be huge. If you manage $100 million you can get a 2-6% management fee even if there is no positive performance. That’s $2-6 million profit for being no more than a caretaker of assets. If you go this direction, you no longer are focused on trend following, you’re focused on the fee. Clients seldom understand. Managing money for clients is hard. Clients usually don’t understand trend following and will often panic and pull out just before a big move that could make them a lot of money. You can see why looking at publicly tracked money managers for clues to trend following reveals only half the story. If you let those statistics influence your assessment of trend following, you make a big mistake. The next time a money manager retires, look closely to see why. Usually difficult clients were the main reason. What does all this mean for the individual trader? Trade a trend following system. Trade it the right way as intended. If you ever get to the point where you want to trade for others — never ever listen to their advice on how to trade the system.